Asthma is a chronic inflammatory lung disease. In 2015 the British Lung Foundation reported that 8 million people in the U.K. (12% of the population) have been diagnosed with asthma, although approximately 5.4 million are currently receiving treatment. The UK has some of the highest rates of Asthma in Europe and one of the highest prevalence rates among children worldwide. Asthma is the commonest chronic medical condition in U.K. children and one of the main reasons children are admitted to hospital. It is also one of the leading causes of hospital admissions for adults. In 2015 there were 1468 asthma fatalities, many of which could have been preventable with better education of healthcare professionals and patients. However, most people with asthma can, and do, lead normal active lives. The word Asthma comes from a Greek word meaning ‘hard breathing’. Asthma is a condition which affects your airways – the breathing tubes. The trachea (windpipe) is the main airway, this then branches into 2 main tubes- the left and right bronchus, these then divide into smaller tubes- bronchi, which divide again into the smallest tubes the bronchioles. Air is carried through these tubes, to supply air and therefore oxygen to all parts of the lungs. Those who suffer from asthma have airways that are very sensitive and the lining of the bronchi are almost always slightly inflamed. Like eczema and hay fever the disease often runs in families and may be inherited. 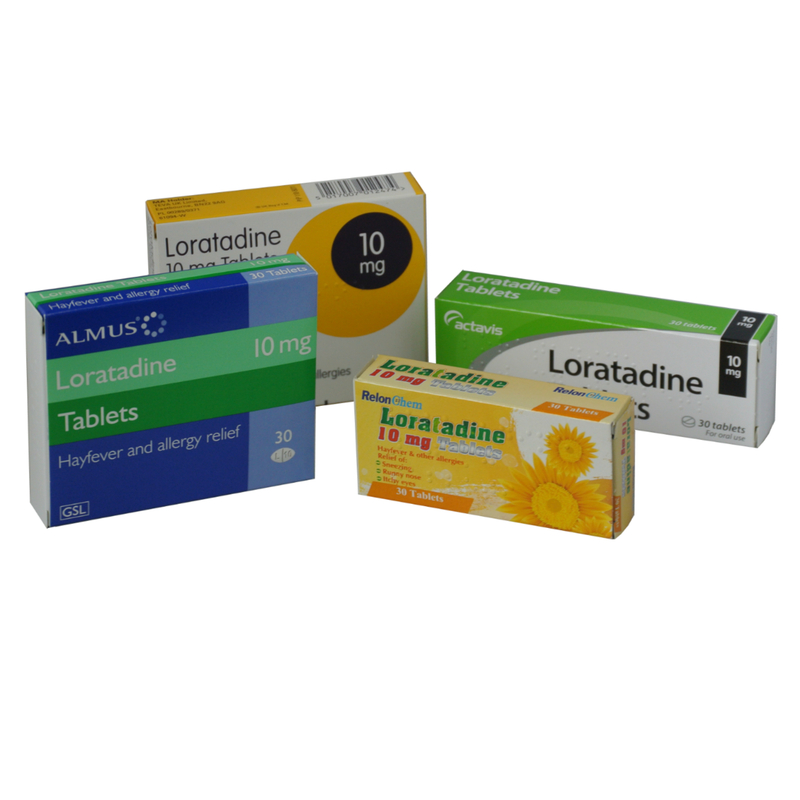 Other members of the family may have hay fever, eczema or asthma or a combination of these. Asthma can affect anyone at any age, though it most commonly starts during childhood and may improve or disappear during the teenage years. Asthma could also be as a result of a mother smoking during pregnancy. Chemical irritants e.g. aerosols and sprays, pollutants from factories and car exhausts. Substances that cause allergies are known as allergens. Common allergens, which could trigger asthma are mould spores, pollen, pets and sometimes food allergies. However, the most common trigger is an allergy to the house dust mite, studies have shown 85% of people with allergic asthma are sensitive to the mite or more specifically their droppings. House dust mites are transparent so you can only see them with a microscope, they live in the dust that builds up around the house, there isn’t a house without them. Each individual’s triggers are different and most people will have several triggers. What are the main symptoms of asthma? The symptoms of asthma occur when the cells in the lungs of a sufferer react to certain triggers. This then causes the muscles surrounding the bronchi to tighten and the lining of the bronchi to swell due to inflammation. Excess amounts of mucus (phlegm) will build up as well, this combined process narrows all the bronchial tubes, so less air is able to pass through them. This results in the symptoms commonly seen in asthma sufferers, such as breathing difficulties and coughing. Breathing problems – Difficulty in breathing, tightness in your chest and a shortness of breath are the main symptoms of asthma. The actual severity of these symptoms can vary from person to person. Unfortunately, it is very hard to predict how different situations will affect you, some days you may be well and leading a normal life, then at other times urgent medical treatment may be needed. Coughing – A night cough is very common in asthma sufferers. If you smoke and have asthma you are more likely to suffer from other lung diseases such as bronchitis. Sometimes it can be difficult to distinguish between bronchitis and asthma, especially in those who do smoke. It is important, as with all diseases that the correct diagnosis is made, as bronchitis will only respond to antibiotics and an asthma diagnosis will require asthma treatments to relieve symptoms. Wheezing – If you suffer from asthma you may be familiar with the whistling sound you make whilst sleeping. This is very common in sufferers and is the result of air being forced through swollen airways in your lungs. How do I know if I am going to have a severe attack and how long does an asthma attack last? If you start to feel symptoms of exhaustion so severe that talking is difficult or you start gasping for breath then you will require immediate medical attention. You may start to notice if your asthma is less controlled if your medication appears less effective, you are waking at night with a cough or wheezing, you are unable to keep up with your usual level of activity or finding that you are too breathless to talk or eat. If you feel your asthma is less controlled you should consult your doctor for advice. Asthma attacks can start suddenly or take days to develop. The length of an attack will depend on the severity, a mild attack may last a few hours but a severe attack can last for a number of days. Most attacks can be controlled by medication. Asthma can usually be diagnosed by the symptoms alone, for example, a persistent cough or wheezing which is brought on after exercise. The main test used to confirm the diagnosis is a peak flow reading (PFR). This test is carried out with an instrument called a peak flow meter, which measures the performance of your lungs. You will be asked to blow into a tube, attached to a meter as hard as you can. As you blow into the tube, a marker on the side of the meter moves up and down. The marker halts at the point when you blow the hardest. At present there is no treatment that can cure asthma. However, there are a number of very effective medications that can relieve sufferers of the symptoms associated with asthma. Most asthma medication is by the use of an inhaler, ensuring that small amounts of medication are delivered directly into the lungs. There are different types of inhalers but the main ones used are aerosol inhalers, known as puffers or dry powder inhalers. If you find co-ordinating your breathing with an inhaler difficult you may be prescribed a spacer device. A spacer device increases the medication delivered to the lungs. Reliever medicine usually comes in a blue inhaler, which is quick-acting and will ‘relieve’ the symptoms of asthma by relaxing the muscles in the airways, therefore allowing you to breathe more easily. The reliever inhaler should only be used when the symptoms appear or before exercise, especially if you tend to get attacks during intense activity. Using this type of inhaler will not reduce the inflammation in the airways. If you use your reliever more than three times a week you may need to use a preventer inhaler. There are long lasting relievers available which go on working for a longer time than the rescue reliever. This usually will need to be taken twice a day to have an effect. Your doctor may give you this treatment if your preventer isn’t enough to control your asthma symptoms. Preventers work differently to relievers, they control the inflammation and swelling present in the airways and stop them from being so sensitive to asthma triggers. Most Preventers are taken in the form of an inhaler and will need to be used everyday, even when you are feeling well. Preventer inhalers usually contain a steroid medication and may be brown, red or orange in colour. There are non-steroid preventer inhalers available which must be taken regularly, usually 3-4 times a day, however, these are generally not as effective as the inhaler containing a steroid. Most people are anxious about taking steroids, the inhaled steroid tends to be a very low dose and very little of the drug is absorbed into the body, most of it remains in the lungs. The risk of side effects with this type of steroid is low but if you do have side effects they could include, a tickly cough, dry mouth, husky voice or throat infections. These side effects can be reduced if you rinse your mouth out with water after use. There are also combined treatments available, which combine a long-acting reliever and preventer in one device. Your doctor will help you decide which treatment is most suitable for you. On occasions if your asthma is really bad your doctor may need to prescribe a short course of steroid tablets to take as well as your inhaler. These work quickly to help calm the inflamed airways. If asthma is severe then oral steroids may need to be given over a longer period of time. These can have several side effects such as weight gain, osteoporosis, thinning of the skin, and you may bruise more easily. Controlling asthma and avoiding an asthma attack. Use light washable curtains and wash them frequently. Regularly dust and vacuum your house to reduce the population of house dust mites. Ensure your vacuum cleaner has the British Allergy Foundation seal of approval to remove dust mites. Hot wash sheets, duvets and pillow cases at least once a week. Ensure you stick to a healthy diet with plenty of fresh fruit and vegetables containing vitamin C, this will help fight viruses. All asthma sufferers over the age of 2 should have a flu vaccination. Don’t buy pets or keep them outside, especially if you have an allergy to them. Do not smoke and try to avoid exposure to smoky or polluted air as this can make the asthma worse. Wear a scarf over your face if it is cold and windy. Avoid going out in the middle of the day on hot, smoggy days. When going on holiday, speak to your doctor, s/he can help you to manage your asthma and may give you a course of steroid tablets in case of emergency. Asthma symptoms may appear at any time of the day and in any place. Patients should see their GP or nurse for an annual review of their personal asthma action plan (PAAP) and discuss medication and asthma control, including how to spot and avoid triggers. It is important that you understand what to do if you feel your symptoms are getting worse. A Peak Flow Meter should be provided by your GP or nurse which can help you to manage your asthma. You should record all results on a chart, giving a clear idea of how you are managing your asthma. This chart will help you and your GP to see how well your asthma is being controlled and therefore decisions can be made about increasing, or decreasing your medication. Take your ‘reliever’ medication immediately. Sit down, don’t lie down. Call your doctor or 999 (U.K.) for the emergency services. Continue with the reliever medication every few minutes until help arrives. What should I do if someone has an asthma attack? If you are with someone who has an asthma attack, stay calm and make sure they take their reliever medicine. Encourage them to breathe slowly. If the person is stressed, unable to speak properly or the reliever has no effect after 10 minutes then you should call a doctor or ambulance immediately.